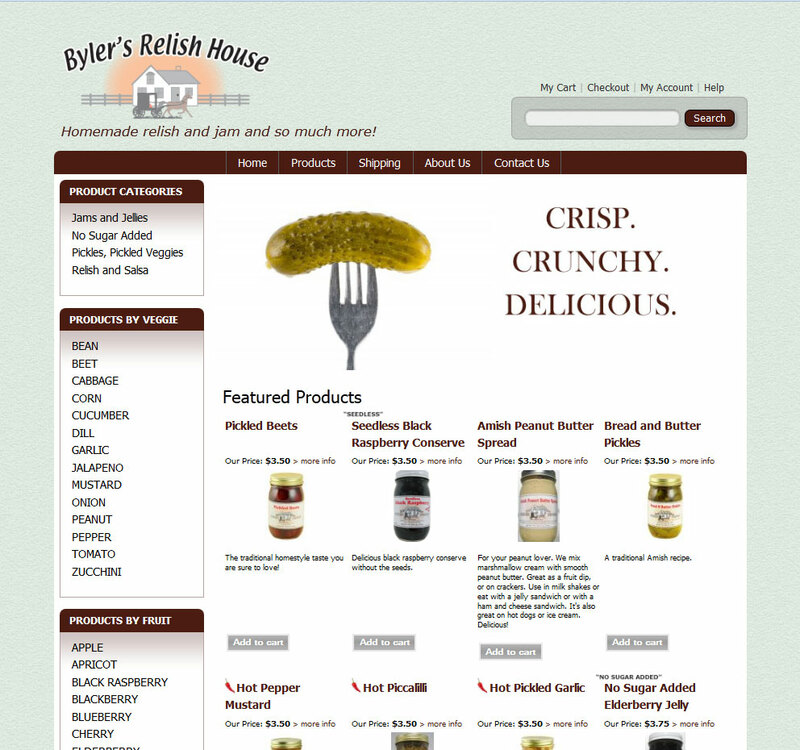 Urie Byler of Byler's Relish House asked me to work with him on a new web store to sell his family business products. I built the new store on Drupal/Ubercart with PayPal payment and USPS/FedEx shipping estimates. Bylers are getting updated product photos, so keep checking back for better shots of their tasty lineup.